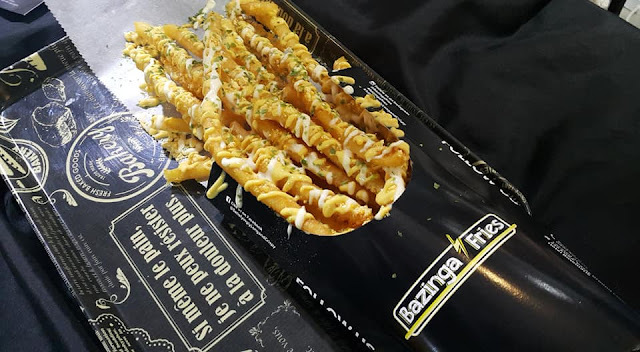 Bazinga Fries: the longest fries in town! We discovered a new invention that would surely trigger the french fries lover in you. 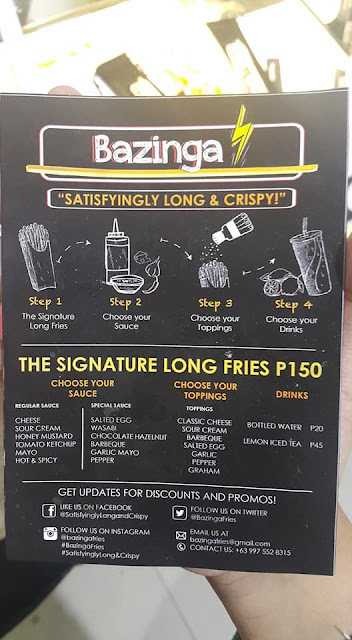 Bazinga fries, a humble but a cute stall that sells a ruler long flavored fries would hype up your love for the regular fries. What's the most surprising part about this fries? Their best sellers aren't the typical taste that you encounter in french fries stand. Why? Instead of powder, they use syrup style of dressing and I guarantee that the flavors are popping out in every bite. 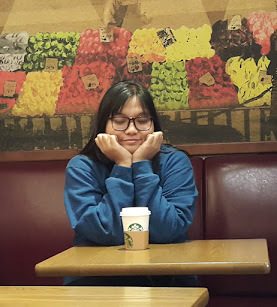 Chocolate Fries - It's my first time to try chocolate flavored fries since most of you know that I am not a chocolate fan but I love it so much that I keep on eating it. 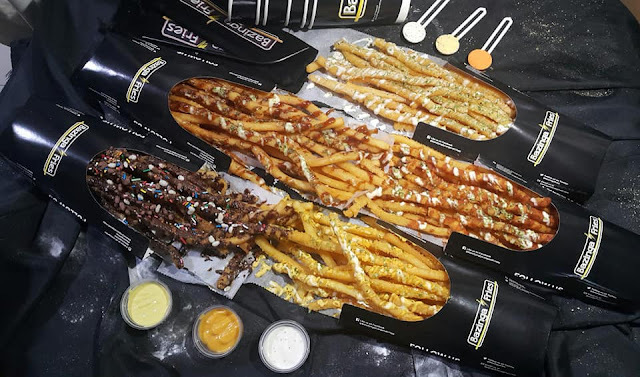 Barbeque Fries - This one is another favorite since the solid barbeque taste is there and it's semi-sweet and savory so I like it so much. It also contains some drizzles of mayo. At a 150, the Bazinga Fries could be happily shared by 2-3 people since it's so long and easily make you full! We had their fries during a bazaar in fisher mall but they'll be having a stall in A Venue, Makati City.